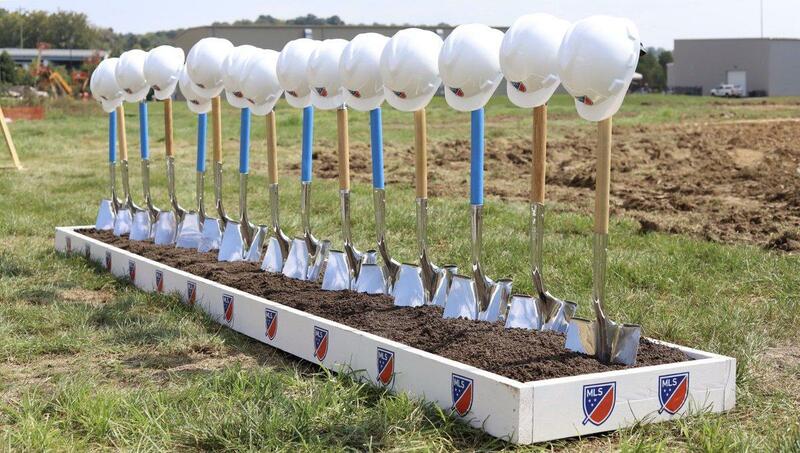 Soccer club FC Cincinnati broke ground Wednesday on its new training complex in Clermont County, simultaneously announcing Mercy Health is paying for the facility's naming rights. The healthcare company is also slated to be the team's jersey sponsor as it enters Major League Soccer in 2019. 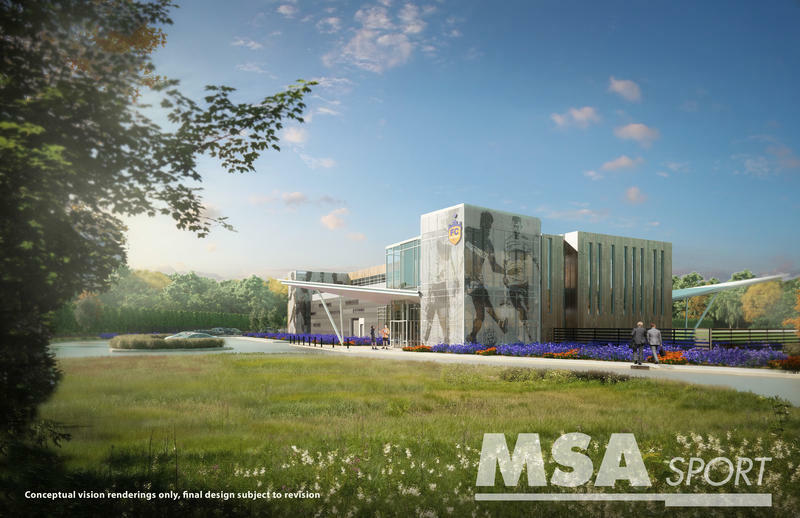 The 24-acre facility will be known as the Mercy Health Training Center when it opens in 2019. Team General Manager Jeff Berding says the partnership "deepens our connections into the first team and player development and health functions of FC Cincinnati, while providing so many new opportunities to expand our community-focused efforts, especially in the Milford area." John Starcher, President and CEO, Bon Secours Mercy Health adds, "Through this sponsorship with FC Cincinnati, Mercy Health has an opportunity to be more closely connected to the team, as well as to the Milford community where we already have strong ties as care providers for Milford’s residents and school athletic programs." The groundbreaking and naming announcement comes a day after a lawsuit was filed accusing Milford City Council of holding inappropriate closed-door meetings about the sale of property where the training center will be built, according to our news partner, WCPO. The facility replaces the Expressway Park softball fields. "I'm not opposed to the FCC soccer training facility in Milford," said Rachel Richardson, a Milford resident and freelance journalist who filed the lawsuit. "But residents should have been part of those discussions … and have a right to know the ways and means by which those decisions were reached." The $30 million complex will include practice fields, training facilities, the team's offices, and house the youth academy. Clermont County's Port Authority has approved issuing $30 million worth of revenue bonds to finance building a soccer training facility and youth academy. The Port Authority will own the land in Milford and lease it to FC Cincinnati. 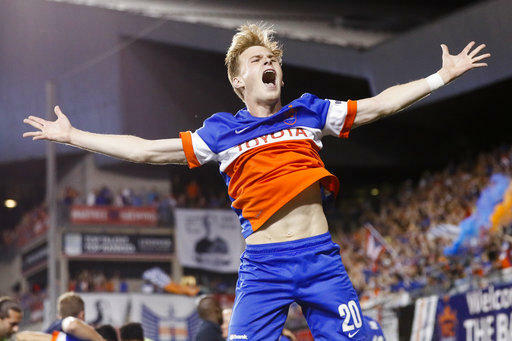 With a deal in place to build a game-day stadium in Cincinnati's West End and plans to join Major League Soccer next year, FC Cincinnati is looking for a place to practice and groom future generations of players. Club President Jeff Berding says they've found it in Milford. FC Cincinnati will build a training facility in Milford, the club announced Tuesday. Pending local government approval, the team will construct a facility where the Expressway Park softball complex currently stands.